1. The weather cools off in the days for a crisp, cool outdoor wedding. 2. The aspen trees turn gold, the skies more blue. Photographically, fall is a picturesque season for getting married. 3. Local discounts. Any smart business knows that to succeed they need support of locals during the off seasons. With a little research you can save a significant amount of money over a summer or winter wedding. 4. You won’t have to worry about appointments being booked up for weeks. If you want to book a massage or a spa package at Life Essentials Day Spa for you and your wedding party, you don’t have to call months in advance. If your party is large enough, you can arrange to have a private spa day for your and your friends. There are a few things to beware of for out of town guests. 1. Flights are much less frequent into Steamboat in the shoulder seasons so consider renting a van or a bus to drive your guests from Denver International Airport. 2. Some businesses close for part or all of the fall. If you are dead set on having a certain restaurant cater your wedding or want a specific venue, be sure to call ahead and make sure they will be open on your preferred wedding date. 3. 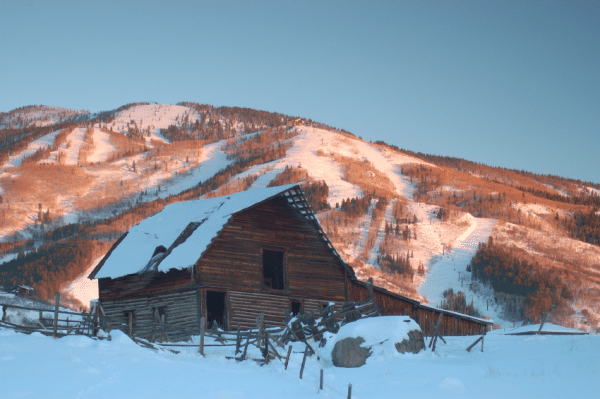 You may like being here in the off season so much you decide to move to Steamboat. The peace and quiet that can be found in the spring and fall are reminiscent of what it was like to live in Steamboat twenty years ago. The community becomes tighter and town become quieter. Outdoor recreation abounds. Sunsets and sunrises are more dramatic. If you are from out of town you may want to work with a wedding coordinator to help ensure you know of all the local deals, the best fall venues and the best opportunities for entertainment for your guests. If you need a break to relax and forget about the stresses of wedding planning, be sure to stop in at Life Essentials Day Spa for a relaxing massage, facial or spa day.